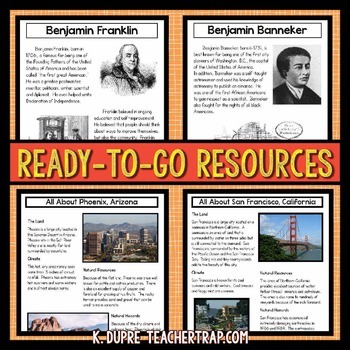 Communities Unit for 3rd Grade Social Studies! 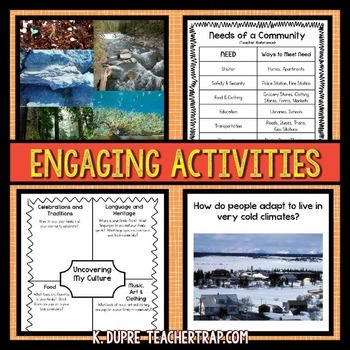 Engaging lessons and activities to help students explore and understand communities. 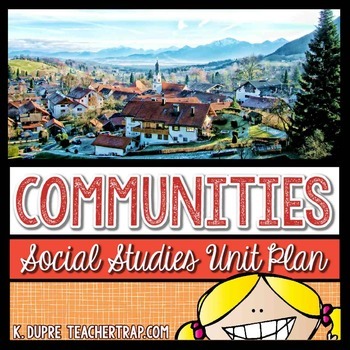 Students begin by looking closely at their own community and then learn about other communities. They compare communities and features of communities to better understand why they form, how they form, and how they meet the needs of people. They learn about ways that humans adapt in order to thrive in different communities, as well as the ways humans change the land to meet their needs. They also study individuals who influenced how communities form, look, and work. My favorite part of this unit is when students must create their own community. They are responsible for thinking about the different needs of the people and planning for those needs. 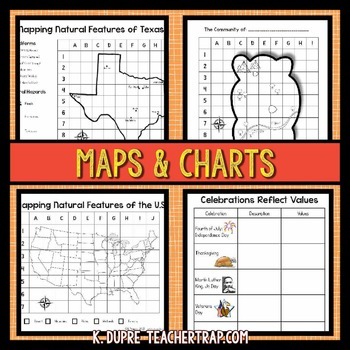 After creating a map key and completing their map they end by reflecting on how their choices effected the natural features of the land.